Organic Feminine Care — The UnRefinery Co.
There’s all kinds of statistics out there when it comes to menstruation. Here are two: Women potentially use over 11,000 pads or tampons in our lives and will experience on average 450 menstrual cycles. synthetic rayon, fragrances, dyes, and deodorants. How does the cotton (which according to the Rodale Institute is the world’s dirtiest crop) get so lily-white? It’s bleached with chlorine and most likely sprayed with pesticides. So you’ve decided that you don’t want any of this against your lady parts for hours at a time. Check out the list below of feminine care products that use organic cotton and are free of dyes, synthetic rayon and dyes. A subscription box service that delivers your choice of Tampons (Applicator & non-Applicator), Pads, Liners each month. With each purchase, Lola donates feminine care products to a woman in need across the United States. Since July 2015, Lola has donated across 27 States, 60 Cities and 100+ shelters. Lola is a woman-owned company. L.'s Certified Organic Tampons, Pads, Liners can be delivered via a monthly subscription or purchased at retail stores such as Target, Whole Foods and CVS Stores. L. also has high-quality, low-scent condoms sans the harmful chemicals, also available as a recurring delivery for up to 40% off. For every item purchased, one is donated to a girl in a developing country. More specifically, L. donates to female entrepreneurs to help women generate their own income. L. is woman-owned and products are specifically designed by a team of women, for women. Seventh Generation has been creating plant-based products for the home and beauty for years. Specifically feminine care, organic tampons and pads leave you feeling fresh and protected without the added dyes and fragrances. Products can be found online and in stores such as Harris Teeter, CVS Stores and Publix Super Market. Natracare's product line includes Tampons, Pads, Liners, Wipes, Maternity Pads and Incontinence Pads. Available in stores such as Kroger, Whole Foods and Harris Teeter and online via Amazon, Walgreens and CVS Stores. Natracare is plastic free, chlorine free and uses biodegradable materials. A tampon subscription box that offers a BPA free plastic applicator and black vegan leather clutch. Cora does their social good by, helping provide a month’s supply of pads and health education to a girl in need with every month’s supply of Cora you purchase. “In the majority of U.S. states, menstrual products continue to be taxed as a luxury, further perpetuating economic inequality between men and women.” As a form of protest, Cora pays the sales tax on all products sold through the website. Cora offers a free month trial, just cover the $3 shipping. 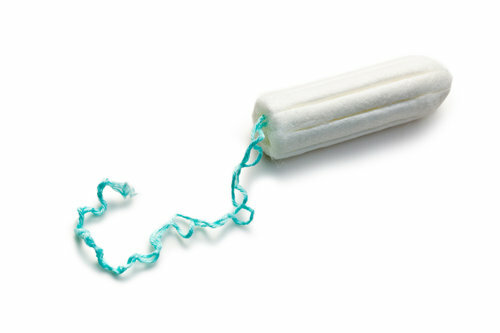 Products available include Tampons (applicator and no applicator) Ultra-thin pads and Liners. The Honest Company boast many other products including baby and personal care, cleaning and feeding, all available in bundle form via a cost-saving subscription. The Honest Company is woman-owned and founded by actress Jessica Alba. 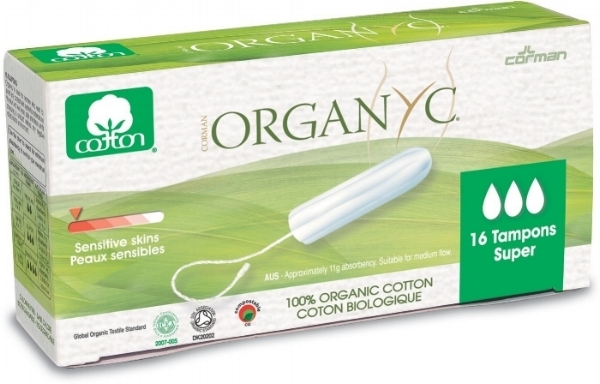 100% organic cotton products to Pads, Tampons (applicator and no applicator), and Liners. In addition, Organyc has available Maternity Pads, Wet Wipes, Cotton Balls and Intimate Care products. Organyc can be found in Walmart, Costco, Harris Teeter and online at Amazon.